Join us each Sunday morning. This Bible study is for singles, college students, and young professionals. Crosswalk meets from 10 to 10:45 AM to study God’s word. Our goal for Crosswalk is for those involved not only to learn God’s Word, but also apply God’s Word with the intent of living a cross-centered life. 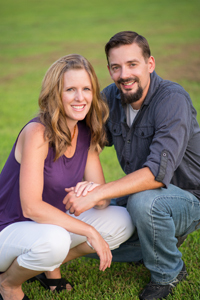 Dave and Karri both graduated from Baptist Bible College — Dave with a Master of Divinity degree and Karri with a bachelors degree in Missions and Bible and an associates in Word Processing. They have have one child. They have served in the Crosswalk class since 2008.